Tobacco and electronic cigarette smokers are finding fewer public places to light up. Mountain Brook became the latest Over the Mountain city to adopt stricter laws to prohibit smoking in enclosed public and work places and certain outdoor public places. Homewood, Hoover and Vestavia Hills also have anti-smoking ordinances, though they differ on some points. Mountain Brook’s new ordinance also targets electronic cigarettes – also called e-cigarettes. Mountain Brook’s new ordinance, which was passed Sept. 26, goes into effect Nov. 1. City Councilman Jack Carl voted against it, saying he felt the ordinance was a greater intrusion into individual rights. The ordinance lists the types of establishments where smoking is prohibited but exempts private clubs and establishments not customarily used by the general public. The ordinance allows for smoking at an outdoor public place on city property. But the smoker must not be within 20 feet of a non-smoker. Restaurants and businesses that currently provide smoking areas in their establishments will have to get rid of those areas. The ordinance also establishes fines for violations: up to $100 for the first violation, up to $200 for a second violation within a one-year period and up to $500 for a third violation within a one-year period. Mountain Brook City Manager Sam Gaston said the city changed its ordinance after speaking with Jefferson County Health Department representatives, who have been lobbying cities to adopt stricter smoking ordinances. 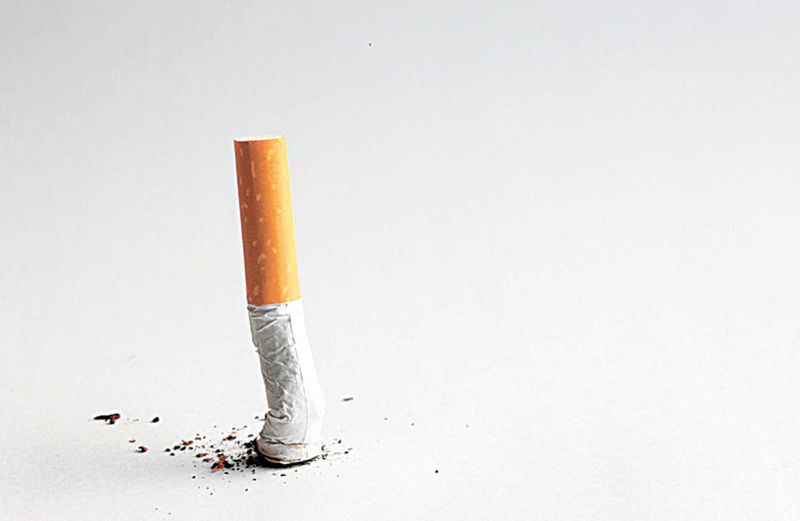 The push behind the campaign is more research about the harmful effects of secondhand and thirdhand smoke, said Barbara Newman, environmental health program supervisor for the Jefferson County Health Department. Secondhand smoke is smoke from cigarettes, cigars and other tobacco products nonsmokers breathe; thirdhand smoke is the residue left behind on surfaces and furnishings that nonsmokers may come in contact with. Studies have shown that secondhand smoke exposure can cause diseases and death in children and adults who do not smoke, Newman said. “There is no safe level of secondhand smoke,” she added. E-cigarettes have also been targeted under comprehensive smoking ordinances. E-cigarettes contain a liquid that, when heated, produces a vapor that smokers inhale. The liquid is generally made up of propylene glycol, glycerol, water, flavorings, nicotine and other chemicals, although the composition may vary. Because e-cigarettes are relatively new, the safety is uncertain. Nevertheless, cities are taking a proactive approach to e-cigarettes. However, Mountain Brook’s ordinance does not prohibit smoking in cigar bars, vape shops or hookah bars. Vape shops allow patrons to sample e-cigarette products. Vestavia Hills’ anti-smoking ordinance, adopted in August 2013, prevents even the sampling and smoking of e-cigarettes and tobacco products in businesses. Mayor Alberto “Butch” Zaragoza said Vestavia Hills has one of the strongest anti-smoking ordinances in the area. Hoover amended its anti-smoking ordinance in September 2008, banning smoking in all enclosed public places in the city and within 10 feet of entrances and exits of an enclosed area where smoking is prohibited. However, Hoover’s ordinance does not address e-cigarettes. Hoover City Council President Jack Wright said he has spoken with Jefferson County Health Department representatives about adopting a stricter ordinance, but the two parties haven’t been able to get on the same page. However, Wright said he believes the city’s current ordinance addresses the issue sufficiently. “There doesn’t appear to be an identifiable problem (with the city’s current code) that has been brought to our attention,” he said. Homewood added some teeth to its anti-smoking ordinance in November 2015 to regulate the distance smokers could puff in proximity to public buildings and to do away with smoking areas in other enclosed public places and public transit vehicles. The city’s ordinance also regulates e-cigarettes but does allow smoking in vape shops “or stores where 80 percent of the sales for such stores is related to vape products.” The same provision covers tobacco shops. Homewood’s law, like Mountain Brook’s, establishes a minimum 20-foot buffer outside an enclosed area where smoking is not permitted. Homewood City Councilman Patrick McClusky said that, even though the anti-smoking movement is gaining more attention, a balanced approach is still needed when dealing with the issue. “A point of contention that some people have is that there are people who still smoke and it’s not illegal to do so,” he said. When Homewood city officials were contemplating revisions to their code, they didn’t go as far as anti-smokers wanted in terms of establishing the distance between outdoor smoking and public places, McClusky said. Those places, it appears, are becoming fewer and fewer.